← Mawa cakes – creamy, buttery and utterly delicious! A cake that makes me feel chuffed! By right this post should be written by Aniruddha, since this is his effort and endeavour. But I was so proud when I saw the end result that I decided I would do more justice to the post by writing it myself. One fine day, Aniruddha decided he wanted to learn how to make lemon curd – a noble ambition and one that I wholeheartedly supported. 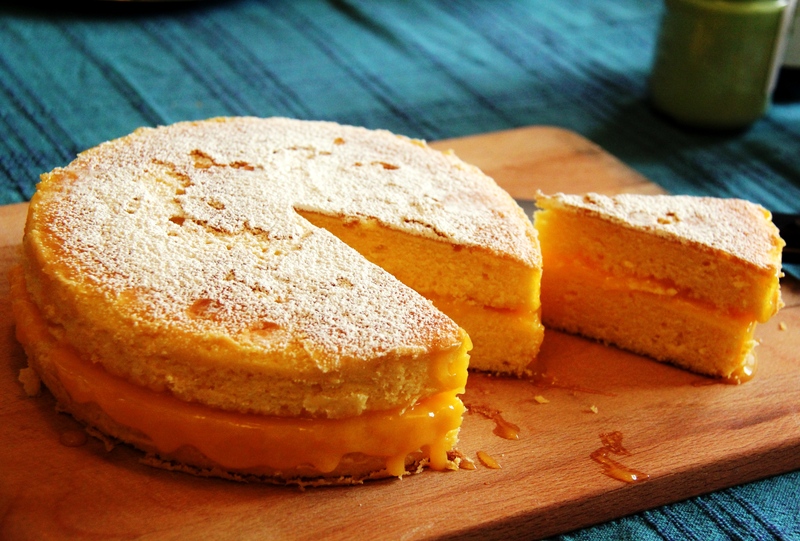 To top that he decided to make a lemon sponge in which he could then layer the lemon curd. Even more support from me, since lemon sponge with lemon curd is actually a dessert from my favourite bakeries in Mumbai – Candies and MacCraig! And so Aniruddha patiently stood and stirred and made the most amazing and delicious lemon curd I have ever had. Bright yellow, tangy and lemony, as it should be! 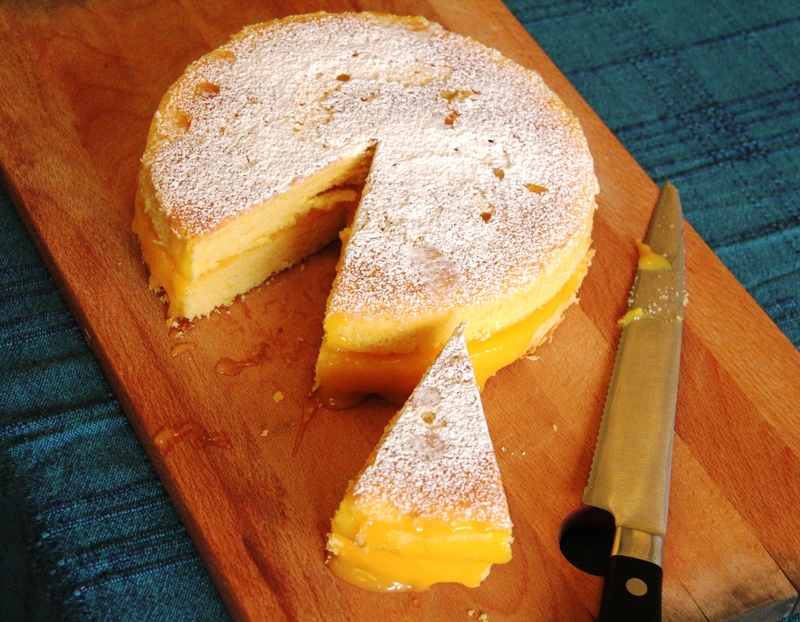 And if that were not enough, he then baked a light and airy lemon sponge cake as well. The cake was simply delicious. He took it to his office where I believe it was demolished in a matter of minutes. This entry was posted in Mumbai memories and tagged cake, homemade, lemon curd, lemon sponge. Bookmark the permalink.